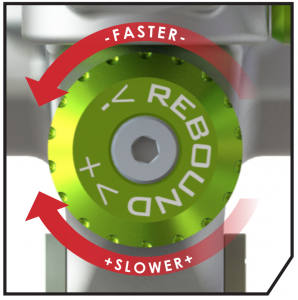 Rebound controls the speed at which the shock extends after compression. Rebound damping control is relative to the amount of air pressure used. Higher air pressure requires more rebound damping and lower air pressure will require less rebound damping so please adjust accordingly.